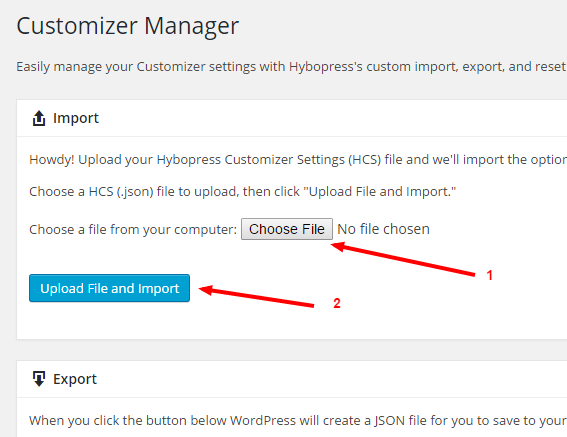 Export your content, theme customizations and widgets from your Hybopress Theme installation, as a backup or for another site where you have the same theme installed. Import your content, theme customizations and widgets from the export files generated above. Click “WordPress”to install the WordPress importer. widgets.wie) provided with demo content. On Export page, click on Download Export File, to download your content. You can easily export widgets settings. Use “Widget Settings Importer/Exporter” plugin for exporting widgets settings file.